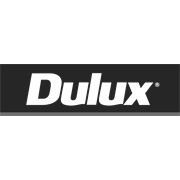 Dulux Aquanamel Gloss in Vivid White is a water based interior and exterior acrylic enamel that dries to a glossy, ultra-smooth and durable, chip resistant finish. 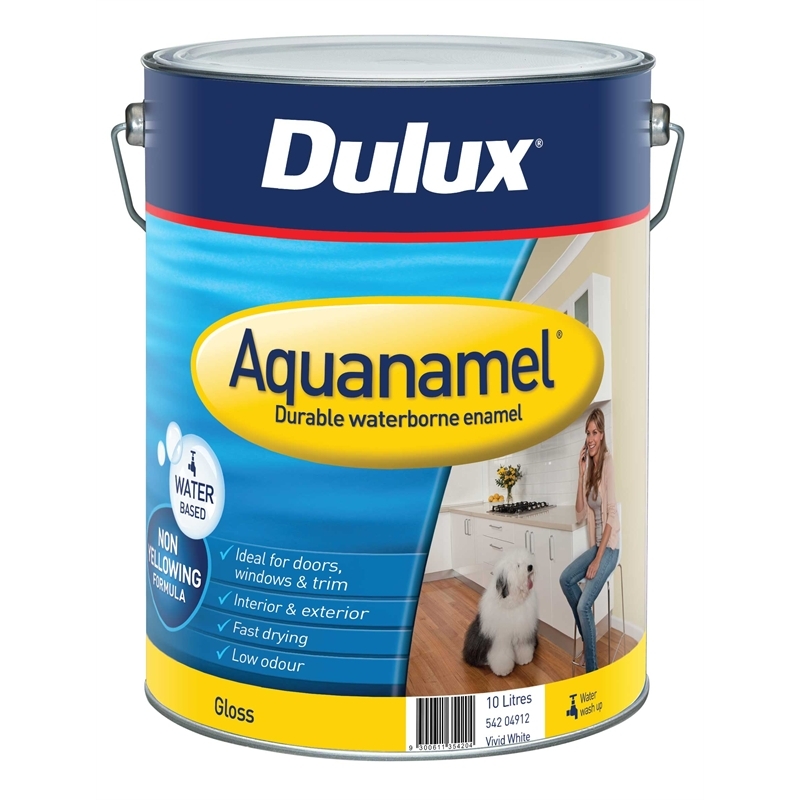 Dulux Aquanamel Gloss can be used in most areas traditional oil based enamels are used, with all the time saving benefits of an acrylic paint. 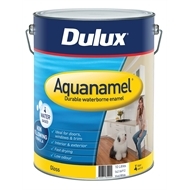 Dulux Aquanamel Gloss is highly recommended for doors, architraves, skirting boards, internal and external windows, timber trim and walls and is ideal for bathrooms, kitchens and laundries.